Want to know a secret? There’s more than one way to serve our Cornbread Pudding with Whiskey Caramel. Stick to the classic preparation and bake this sweet and savory bread pudding in a 3-qt. baking dish or you can serve it in individual ramekins (as shown here) for a personalized dessert that your friends and family can make all their own. You do the baking but let them spoon on that delicious Whiskey Caramel just before devouring—how much or how little will be entirely at their discretion. Word of warning: You might want to go ahead and double the sauce if you give your dessert crowd free rein. 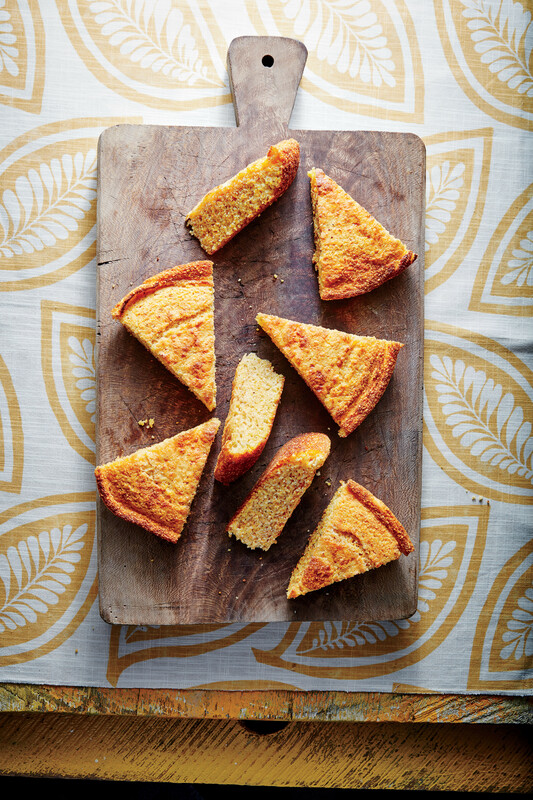 If you’re tempted to pick up a boxed cornbread mix (gasp) instead of baking up our homemade version, we urge you to go for the gusto and make the real thing. After that first crunchy, sweet, utterly satisfying bite, you’ll never think of going store-bought again.